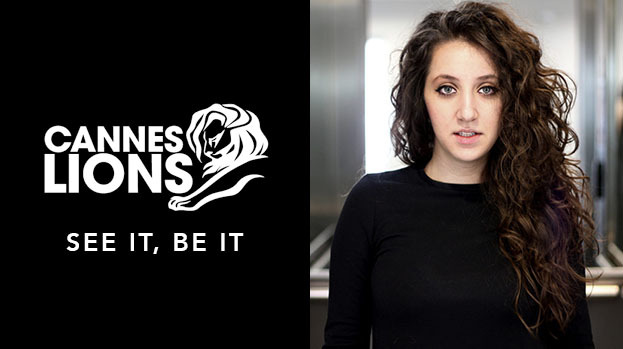 Simina Zidaru, Senior Copywriter at MullenLowe, is the only Romanian creative selected to take part at the 5th edition of See It Be IT, a Cannes Lions career development and acceleration programme for women in the creative communications industry. The programme has been designed by the prestigious Cannes Lions to spot and support aspiring female creative minds across the world, providing them access to relevant content and industry iconic experts, accelerating their growth into future creative leaders and helping them become drivers for change. Simina Zidaru: I’m constantly looking to become better and this oportunity is the best that could have happened to me. I am truly honored to be part of this selected group of 20 women across the globe and I’m sure the programe will help us all change and, in turn, change things around us. I just can’t wait to see it and then be it. Simina has 6 years of experience in the creative communications industry, having signed some game changing campaigns in Romania and won over 30 awards (Golden Hammer, SABRE, Internetics, FIBRA Awards, Romanian PR Award, ADC*RO and many more). Simina had worked for 3 years as a Creative Associate at the PR agency Golin before making the switch to MullenLowe as a Copywriter and then moving up as a Senior Copywriter. She has put her creative mind to work for clients such as Unilever (Cif, OMO), PepsiCo (Pepsi, Lipton), Mercedes-Benz, Lidl, Farmec (Gerovital), History Channel, and others. Simina is one of the 20 selected applicants who will be flown to Cannes and immersed in a programme of seminars, mentoring sessions and meetings with some of the most successful global leaders in the creative communication industry. They will be special guests of the Cannes Lions festival during 18th-25th June, with a Complete Festival pass, and will receive behind-the-scenes jury room access to learn what goes into the outstanding campaigns.